LIVE ON TOTAL PICTURE RADIO! Visit me on Total Picture Radio discussing “How to Handle Criticism in the Workplace“. Link to me on my podcast. I encourage you to comment, “Digg”, “StumbleUpon” and “Tweet”. Who’s a Celebrity? What’s a Hero? While people are still kicking at the embers of the Tiger Woods fire, let’s see if we can sort this out. Whom do we crown and why? What makes a celebrity and what makes a hero? Celebrities get crowned strictly by the media. Attaining “celebrity” requires a certain number of pages in a certain number of print vehicles and a certain amount of electronic media time with a great shower of tweets and facebook pages. Pictures count —the other info comes after the pics. So what gets the paparazzi inflamed to go after and create celebrities– to bring us every last tidbit of their lives, however minuscule and uncomplimentary they may be? Simply who’s current and who’ll buy their wares. It takes so little to become anointed—doing something dumb or illegal is as good as doing something right. Do we need to hear any more about the White House party crashers? Or for that matter, the latest of Tiger’s various adventures outside the lines? Hitching a ride on any current celebrity’s flash is quite common and ever so tempting. (Think how it worked for those party crashers…) Some come and go, like Britney Spears or the UFO-generator in Colorado. And some seem to last and can always generate space – like Paris Hilton. The list is long and we buy into it daily. But what’s the difference between celebrities and heroes—those other people whom we admire? Heroes get crowned for what they’ve done, not for how they look or how new and flashy their shtick is. Heroes represent choices people made in their lives- real lives. Showing great courage or amazing generosity and caring, daring to go against the tide or putting oneself in danger for another. They represent actions and experiences we can all identify with – choices that we too could be called upon to make. Celebrities represent something the rest of us cannot and do not do, and lives that we’ll never live. So the difference? One represents fantasy, the other reality. Celebrities make us spin dreams about them and their illusory dramas. Heroes make us see reality and generate admiration about how we – people – can and do respond to real –life dramas. One generates unreal goals, the other generates humility and aspiration toward real goals. And to look again at Tiger, he was a hero for what he accomplished: from humble beginnings, he developed tremendous will and talent to achieve astronomical success and become golf’s multiracial ambassador. We held Tiger to a very high standard– much of it from his own making. Tiger played both games well; golf and the building of his brand. He leveraged his success on the course to capitalize on the brand he so carefully built. He exploited the myth that his integrity was as rock solid as his talent. We assumed that his professional accomplishments translated into a flawless character. But it’s when we got to the celebrity part, to how he lived his sub-rosa glamorous, cheating lifestyle, that we lost him as a hero. 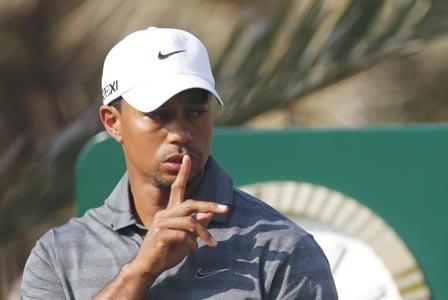 Let’s take a hard look at the Tiger Woods feeding frenzy. Not just at how appalling it is but that it’s giving us a pretty clear picture of who we are these days and what we hunger for. Listen. Tiger Woods has been our hero because he’s a super-human golfer – not a super-human man. Sure, his relationship with his father was wonderful and we knew that. But Tiger never asked us to elect him preacher or teacher or role-model for the perfect human being. Just the perfect golfer. What have we learned to love about him? Simply this: He can dig into his core and find the focus, the will and the skill to do amazing things that the rest of us can’t. He can make a golf ball follow his intentions while the rest of us— well, you know. And thus he became a symbol of our hidden power, of the depth and possibilities we humans are capable of. And we basked in that glory. Look what “we” can do, how high we humans can rise, how powerful and in control we can become! Then what happens? The rest of Tiger leaks out. The who-else-he-is when he’s not lifting us all to new heights via the golf course. Who knew? And, until now, who cared? But learning about his other human traits, we’re furious. How could he do that to us? How could he fall from the heights we lifted him onto and make us see he’s like the rest of us – sometimes fallible, incompetent, undisciplined, the “us” who often stray off the right path. Result? He’s our mark for attack. Why are we sooo needy? So anxious to assume inhuman perfection from our steady parade of media–made stars and so quick to destroy them when their imperfect human foibles are revealed? Well, today’s world problems have made life harder and more demanding than most of us can remember. Can it be that, filled with self-doubt and a sense of impotence about fixing our giant problems, even surviving, we keep looking for reassurance— for examples that our species’ basic genetic makeup will carry us through? That we really are capable of superhuman strength, of amazing talents, of heights we can rise to in order to solve our problems and survive? That that’s where the endless hunger for idols and adulation comes from. We’re looking for examples to reassure us that we really all do have the right stuff, when needed. That yes, we can… And all the idols that keep falling from grace scare us into thinking— we’re all only human! Survive? No, we can’t….